110TH ANNIVERSARY FATBOY LO! SHOWROOM MINT!! 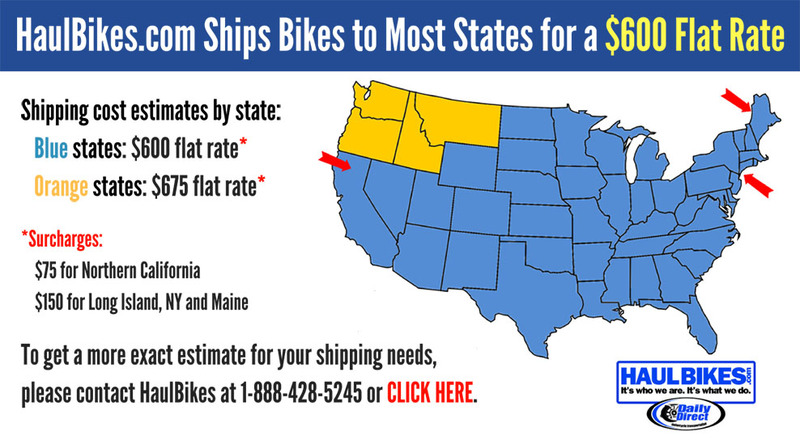 ONLY 2,168 MILES! HARLEY-DAVIDSON SOFTAIL FOR ONLY - REDUCED to $11,500. REDUCED AGAIN - $11,000. The 2013 Harley-Davidson® Fat Boy® Lo FLSTFB model has all the features you expect on custom Harley® motorcycles. Hearkening to the 'hardtail' choppers of the '60s and '70s, the Fat Boy® Lo model is one of the custom Harley® motorcycles that keeps that heritage alive more than forty years later. And this special edition shows a darker side of the original 'fat custom' bike—laid-back and blacked-out with an unmistakable profile on the road. For 2013, the H-D® FLSTFB Softail® Fat Boy® Lo model comes in a limited, serialized 110th Anniversary Special Edition, featuring exclusive commemorative anniversary styling elements and premium features that make it a top-of-the-line model and a true work of living art, with finely forged finishes that age and transform in a manner unique to each vehicle. The Harley® Fat Boy® Lo model features a powerful air-cooled Twin Cam 103™ Harley® engine with 6 speed cruise drive transmission, providing more performance power for passing, hill-climbing, and riding with a passenger and luggage. Take a minute and learn about all the features of the Fat Boy® Lo model and learn more about other custom Harley® motorcycles. For more choppers, check out the Fat Boy® model or another one of the Harley-Davidson® cruiser motorcycles. The Heritage Softail® Classic model gives you a classic motorcycle experience, learn more about this bike. Take a look at all of the Harley® motorcycles and find the bike for you. When it comes to the Fat Boy® Lo with optional ABS, "stopping power" has a double meaning. The components of our ABS are tastefully hidden within the wheel hub, so you'll still turn heads with clean, streamlined design. More importantly, though, you get certainty in the saddle knowing your bike's going to behave when you need it. *Note: this feature is offered as part of the "Security Package" (which includes the H-D® Smart Security System). Both of these features are standard on the 110th Anniversary Edition of this bike. To give the Fat Boy® Lo model its distinctive road-hugging stance, we've dropped the front and rear suspension 1.15 inches. That makes it the lowest seat height of any stock Harley-Davidson® model at a down and dirty 24.25 inches. Perfect for smaller riders or those who just like to feel down in the bike. Hello, I'm interested in your 2013 Softail® Fat Boy® Lo 110th Anniversary . Hello, I'm interested in making an offer on your 2013 Softail® Fat Boy® Lo 110th Anniversary . 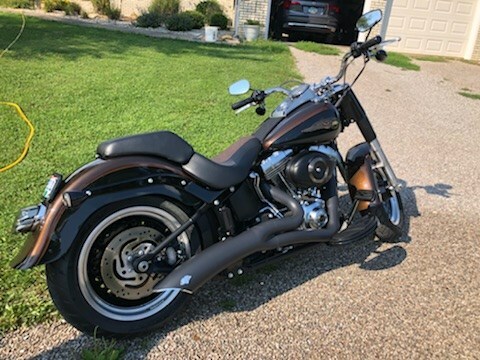 Hello, I'm interested in trading in my bike for your 2013 Softail® Fat Boy® Lo 110th Anniversary . Hello, I'm interested in taking your 2013 Softail® Fat Boy® Lo 110th Anniversary for a test ride.